In the late 1970s and early 1980s an American theatre artistic process changed forever. The process, which was dedicated to developing plays and musicals, had become too costly, and producers opted for other ways to find and refine shows for Broadway. It was common from the early twentieth century to the early 1980s for shows to go on the road. This allowed producers and those creating the show to test it over and over again before any reviewer in New York saw it. Rewriting, recasting, and re-envisioning was ongoing. The amount of time they spent on the road varied, but it was often three to four months. That long process created some of Broadway’s biggest hits, and it gave Americans across the nation a glimpse of future hits and flops. First, money had to be raised to get the show on its feet. Often this was done by gathering together potential investors and performing part of the play or musical for them. Producers might also team-up and then enlisted some investors with whom they already had a relationship. Although a producer could or might back a show on his/her own, this was (and still is) an extremely risky proposition. Once funding was secured, the creative team was in place, and the show was cast, the process began. Shows would rehearse in New York for a while, to the point where they were ready to be seen by an audience, and then go off on the road, eventually working their way back to Broadway. This could be a long process. Stops might include Chicago, Philadelphia, and Washington, D.C., as well as other large cities. Usually a production would spend about a month in one city, rehearsing, refining, and rewriting in the day and performing at night. Entire scenes could be cut, new song added, lyrics edited, dance numbers inserted, and characters cut or added. It could be a very tough process, as actors or other personnel were often replaced. Also during this time there were various theatre professionals who would be invited to go on the road and respond to what they saw. 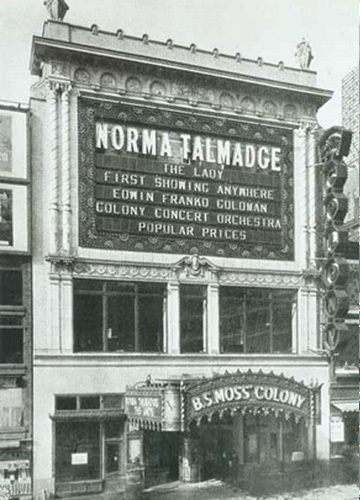 In the Golden Age of Broadway, these included famous directors, producers, and writers such as Moss Hart, George S. Kaufman, George Abbott, and many others. There names would never appear in the program but they contributed to the product and they were played well. 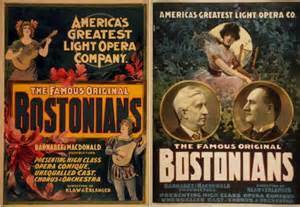 In the 19th century, the Bostonians were one of America’s most popular light opera companies. The last stop on the road was always Boston. This was where the finishing touches were put on a show. Boston, to a degree, was the logical choice. It was thought to be a bit more conservative than New York, but still metropolitan. There some very good Broadway-sized theatres in town and the reviewers seemed to have similar sensibilities to those in New York. Logistically, it made sense too. If a show was in trouble in Boston, it was never a good sign. If it was a hit, it’s success in Beantown did not guarantee similar success in New York, but it was considered to be a good sign. The long road development process ended on Broadway. A show might rehearse for a week, two weeks or even more prior to going into previews. After a week or two of performing before New York audiences, the show would finally open and could be deemed a hit, flop, or something in-between. Workshops: developing shows in a closed environment and then offering closed performances for investors. If there’s enough interest, the show may then be produced Off-Broadway or go directly to Broadway. Off-Broadway: some show start here and then transfer to Broadway. They may be put through the workshop process first. 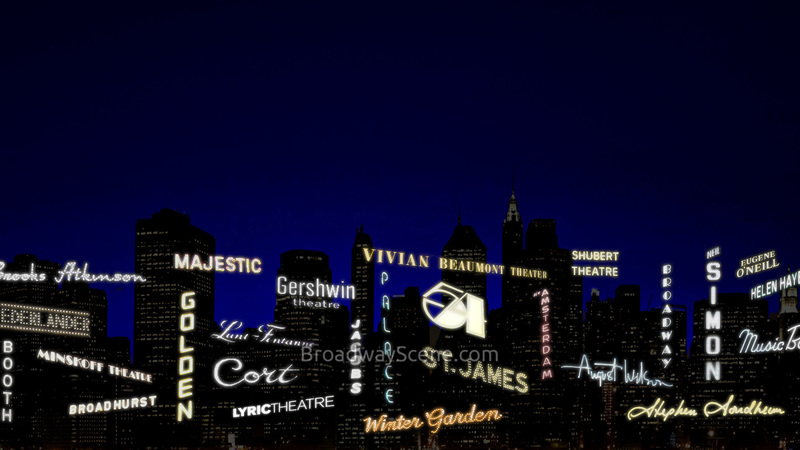 Regional Theatre: Many shows are performed at one of more regional theatres and then they transfer to Broadway. Currently, American Repertory Theatre, Steppenwolf, the La Jolla Playhouse are a few that are represented on Broadway or will be soon. Summer Theatre: There are a few summer theatres that have track records for developing works and bringing them to Broadway, including the Paper Mill Playhouse and the Berkshire Theatre Festival. Regional Performance: A show may be produced at a first-class, Broadway-sized venue in another region of the country such as Chicago, Washington, D.C., or Philadelphia and then transferred to Broadway. There is no one way to get a show to Broadway today. A play or musical may go through a workshop process and then lie dormant for a time, months or years, and get picked up by a regional theatre. That show could then go to Off-Broadway and, instead of transferring to Broadway, be done at various regional theatres across the country. It may then end up on The Great White Way. 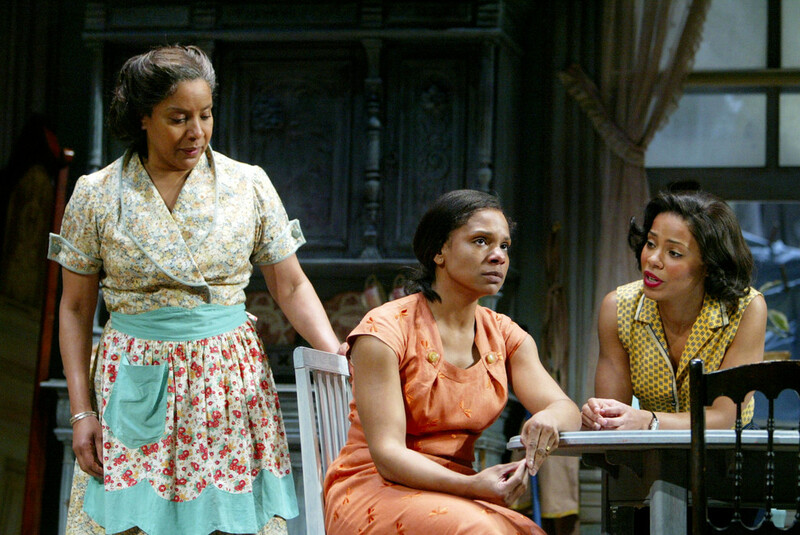 One thing is for certain, the old days and ways of getting a play r musical to Broadway have faded away.